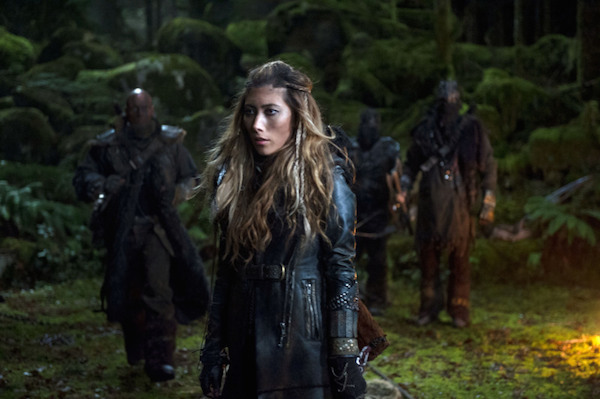 The 100 has proven to be one of those truly great freshman dramas that keeps you guessing with each new episode. Honestly, there's no predicting what will happen next on this series, and that's just one reason why we can't stop watching! Unfortunately, in a matter of weeks, we'll have to stop watching as The 100's first season is winding down. The first part of the two-part season finale airs this Wednesday night. Titled "We Are Grounders," you'd think the episode might focus on the "others" of this series, but based on the trailer for Part 1, it looks like Bellamy's rallying cry includes declaring themselves Grounders too. Who's this "new enemy" that Finn and Clarke are going up against? And what's the "new danger" that Raven will be facing? It'll also be interesting to see what kind of heroic attempt Bellamy makes to save Jasper. At the beginning of the series, I felt certain I wasn't going to like Bellamy or Octavia, but they've quickly become my two favorite characters. Or not addressed. It's hard to say, and like I said, there's no predicting this show. But if I were to make a guess about a character sacrificing their life to save someone, my money's on Raven. She loves Finn, but he doesn't love her like she wants to be loved, and after attempting to put him out of her mind by bedding Bellamy, she seemed pretty disappointed with her efforts, which makes me think maybe we need to worry about her. Or maybe she'll rise above this whole situation. That would be the ideal outcome, but I wouldn't be surprised if she made a hero's exit by season's end. 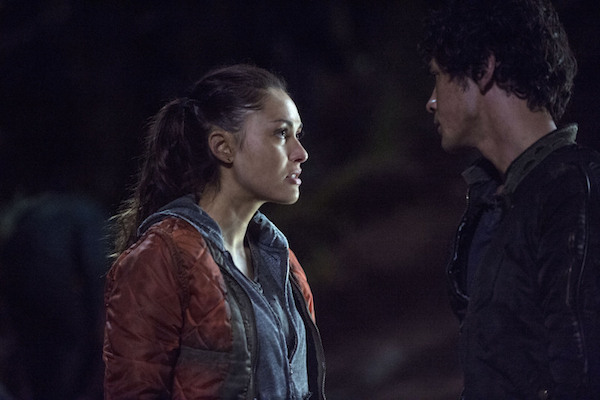 The 100 airs Wednesday at 9:00 p.m. ET on CW. And as we previously reported, The 100 is among the CW series that has been renewed for next season. Bonus: CW has it lined up to return in the fall!